This month is gearing up to be an exciting month for British television fans in North America. From Series 6 of Death in Paradise to Series 2 of Doctor Foster (and much more), there's a lot of great content coming to streaming services this month. Father Brown: Series 6 – Based on the stories of GK Chesterton, this is the latest series from the hit show about a Catholic priest who solves crimes in his quaint English village. Doctor Foster: Series 2 – This dark drama about a woman scorned occasionally feels like an upper-class Jerry Springer show with British accents, but the acting quality and pretty scenery keep you hooked. Death in Paradise: Series 6 – Death in Paradise gives us culture clash at its finest as each series features a British inspector leading murder investigations on the tropical island of Saint-Marie. Dad's Army: Complete Series – This 1960s British comedy features a ragtag band of Home Guard volunteers as they prepare for German invasion during World War II. 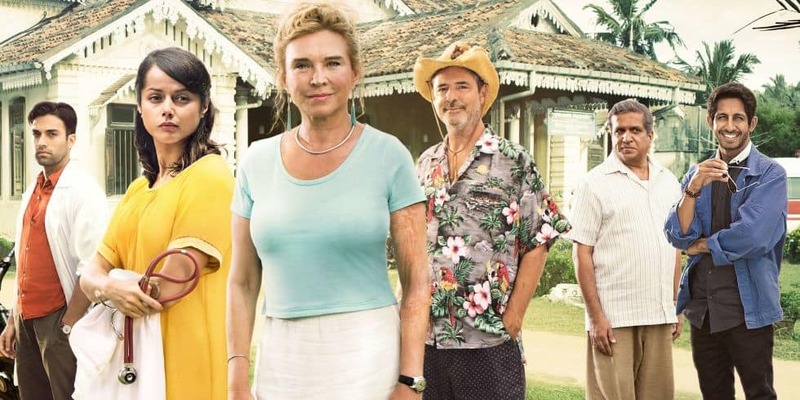 The Good Karma Hospital: Series 2 – April 2 – Newly heartbroken, a young doctor travels to Southern India seeking a new life working at an underfunded small hospital. Watch it here. Reilly: Ace of Spies – April 2 – This 1983 dramatization features one of the greatest spies of British history. There's also a book that might interest fans of the series, which you can see here. Goodnight Sweetheart: Series 5 – April 2 – Goodnight Sweetheart is the story of a regular man married to an insufferable wife when he accidentally discovers a portal that takes him from 90s London to WWII London. And of course, he meets a dame. Series 1-4 are already on there, and I haven't seen any news about Series 6-7 yet. Watch it here. Interview with a Murderer – April 9 – Criminologist David Wilson interviews convicted murderer Bert Spencer, a man suspected of killing paperboy Carl Bridgewater in 1978 (though he was never convicted). No Offence – April 16 – This Manchester-based police dramedy takes us through the unsavory side of the city. Killer Net – April 16 – This miniseries focuses on three British students in Brighton as they get deeply involved with a violent video game that might have darker secrets lurking below the surface. After Henry – April 23 – Before it became a TV comedy, After Henry was a BBC Radio 4 program. Both version focus on the life of new widow Sarah France after the death of her GP husband. 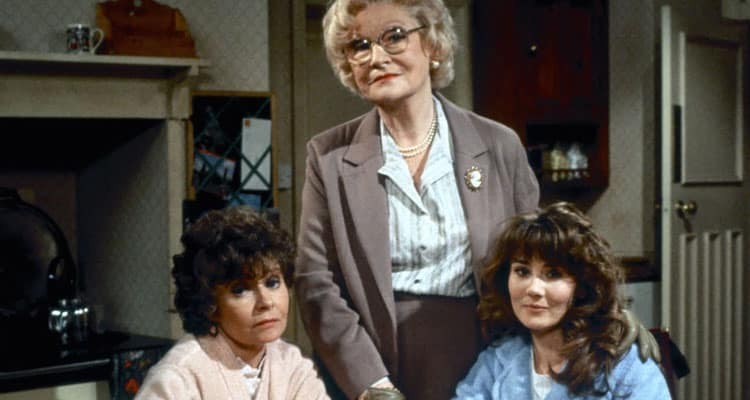 Starring Prunella Scales of Fawlty Towers and The Marriage Lines. Station X – April 30 – This documentary is great for fans of Bletchley Circle, as it tells the story of the Station X codebreaking headquarters at Blechley Park during WWII. 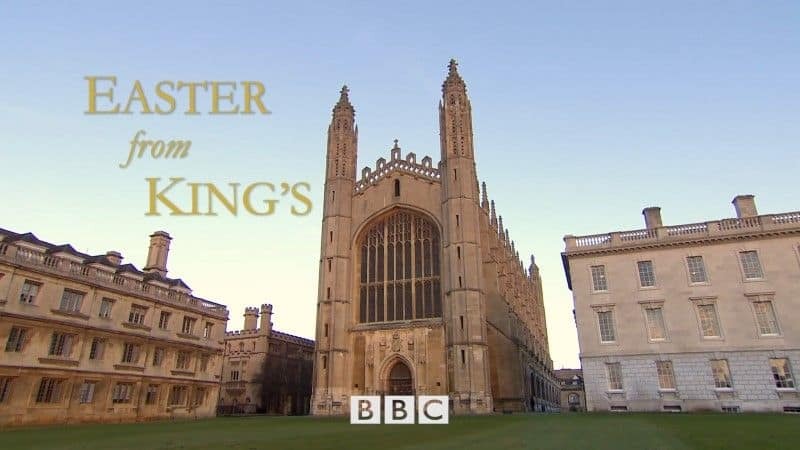 Easter from Kings – April 1 – Watch the traditional Easter Sunday service, direct from the Chapel of King's College at Cambridge University. Poirot: Series 13 – April 4 – Though this Agatha Christie classic is already available on Acorn TV, you'll have the option of watching it on BritBox after April 4th. Watch it here. Spitting Image – April 10 – This strange 80s and 90s puppet satire makes fun of everyone from pop stars to the British Royals. Question Time – April 12 – Politicians and celebrities face live questions from a studio audience. 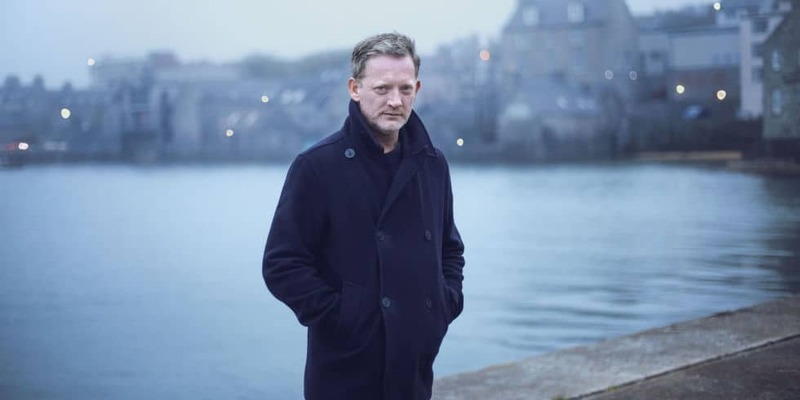 Shetland: Series 4 – April 14 – This popular mystery series features murder in the Shetland Islands of Scotland. Watch it here. QI: Series 12 & 13 – April 18 – This popular game show/comedy panel values being interesting over being correct. Features Stephen Fry (The Great Indoors) and Alan Davies (Jonathan Creek). Watch it here. Our Friends in the North – April 21 – This 1990s series features four friends as they make their way through 30 years of life. Stars Christopher Eccleston (Doctor Who) and Daniel Craig (Quantum of Solace and other recent James Bond films). The Coroner: Series 2 – April 28 – A high-powered lawyer returns to the small town she once escaped, taking up the position of coroner. Watch it here. National Treasure: Kiri: Series 2 – April 4 – This four-part drama looks at the aftermath of a young, soon-to-be-adopted black girl's murder. Stars Sarah Lancashire (Happy Valley, Last Tango in Halifax) as Kiri's social worker. The Only Way is Essex: Series 21 – April 19 – This British reality show offers a look at how some low-class young Britons live. Love Island: Series 1 & 2 – April 19 – Love Island is a dating reality show where contestants live in a villa and pair up into couples in order to avoid elimination. Vikings: Season 5, Part 1 – April 24 – This popular History Channel drama gives us a fictionalized account of what the Viking world might have been like. 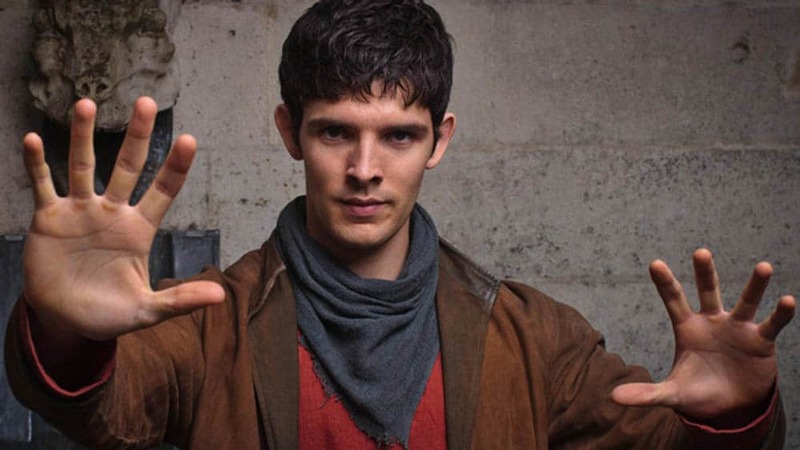 Merlin – April 1 – Colin Morgan (Humans) stars as Merlin in this 5-series show about the legendary sorcerer as a young man. Watch it here. Hitler's Bodyguard – April 1 – Hitler survived more than 40 assassination attempts, including some by his own people. This documentary explores how he did it. The Missing: Series 2 – April 2 – This drama focuses on what happens after five-year-old Oliver disappears, and the lengths a desperate father will go to in order to get back his son. Watch it here. Red Rock: Series 3 – April 23 – Ireland – This Irish soap opera focuses on two feuding families, the Kielys and the Hennessys. Watch it here. Vikings: Season 5, Part 1 – April 24 – This popular History Channel drama gives us a fictionalized account of what the Viking world might have been like. Watch it here. 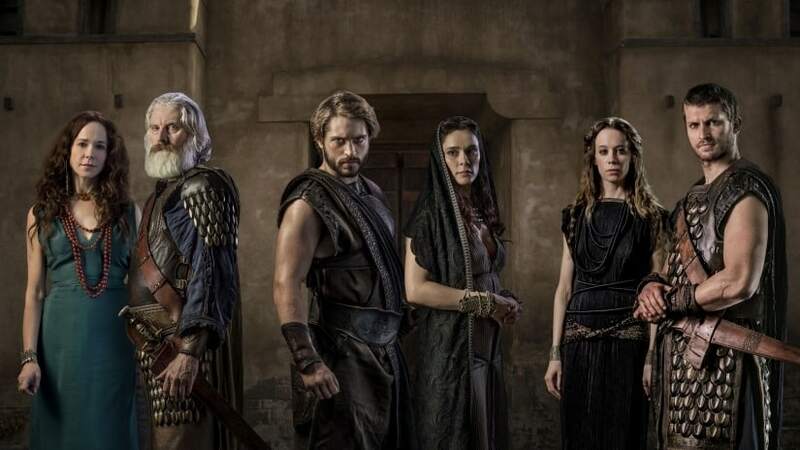 Troy: Fall of a City – April 6 – This eight-part series retells the story of the siege of Troy. Greg Davies: You Magnificent Beast – April 10 – Stand-up comedy from one of Britain's finest. Call the Midwife: Series 6 Christmas Special – April 24 – This is the most recent Christmas special from the series that chronicles the lives of a group of midwives in 1950s and 60s East London. Howards End – April 8 – This series dives into the class divisions of early 20th century England, focusing on three families from different places in the class structure. Rellik – April 13 – We've been waiting to see who'd get streaming rights to this new British crime thriller, and we're more than a little disappointed to see it go to Cinemax. They've already picked up Strike, but it's hardly worth paying their subscription rates to watch a lousy two shows (since most of what they offer is more traditional American fare). I'd recommend holding out until someone else gets this one, or until the Cormoran Strike episodes air so you can watch it all on one free trial. 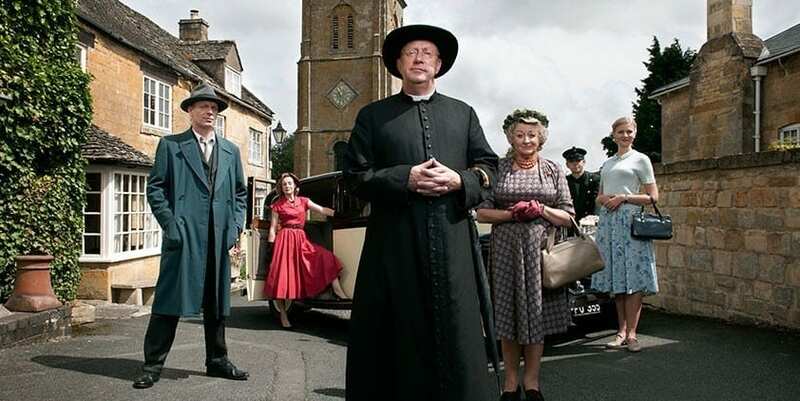 My husband and I LOVE, “Father Brown.” We have caught up to the current Series 6 on NETFLIX and can’t wait for the next ones to get started! This is a very entertaining show.